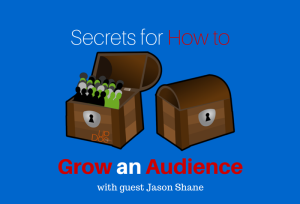 You want to grow your audience, right? But how? Its one of the most popular questions we get asked by up and coming bloggers, business owners getting into marketing and social media personalities. Its a natural question to ask since between us(Erson and Gene) we have grown an audience of thousands. Spoiler alert….its not easy and takes a lot of time. Even though it may be tough its (obviously) not impossible. PS… He also shared a few personal stories involving Erson, Sushi and border patrol. You don’t want to miss it! Click here to listen! Therapy Insiders is also sponsored by Patient Sites the leaders in physical therapy website development as well as Facebook and Newsletter marketing. Check out www.patientsites.com/insiders for a free e-book on website design that converts as well as 50% off your first 3 months of service for being a Therapy Insiders listener! Join our newsletter to keep up with the content you NEED to know!